It's been a while since you've been able to say, "Meet me at the saloon." But thankfully, the wait is over. 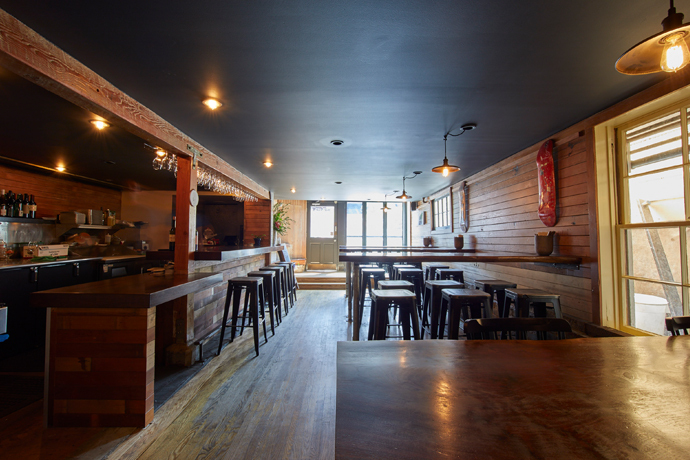 Welcome to McTeague's Saloon, opening today in Polk Gulch. Named after Frank Norris' literary cult-classic McTeague, Myles O'Reilly's new bar isn't short on history: It's housed in the first building to be rebuilt on Polk Street after the 1906 quake, and the space used to be Tortola's, home of SF's first margarita. 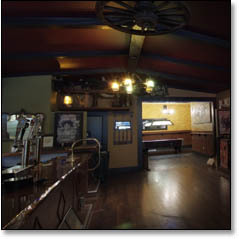 Step inside and you'll find framed prints of Old San Francisco adorning the walls, a few turn-of-the-century wagon-wheel chandeliers hanging from the cathedral ceiling and shelves stocked with some 100 commemorative Jim Beam bottles (note the 1984 one with a computer theme). Veer left toward the redwood-topped bar and order one of a dozen beers on tap—like the house McTeague's Pale Ale, or a 25-ounce Belgian Red. There's also a full bar (they acquired the old Barleycorn's liquor license), which will focus heavily on bourbon, whiskey and scotch, and an abbreviated food menu of small plates and "toasties" (mini cheese-stuffed sandwiches). If you're hanging out for a while, fire up the jukebox and take over a booth, or cue up at the pool table in back—just steps from the donkey, birdcage, lantern and shovel display. Which would all make sense if you'd read the book.